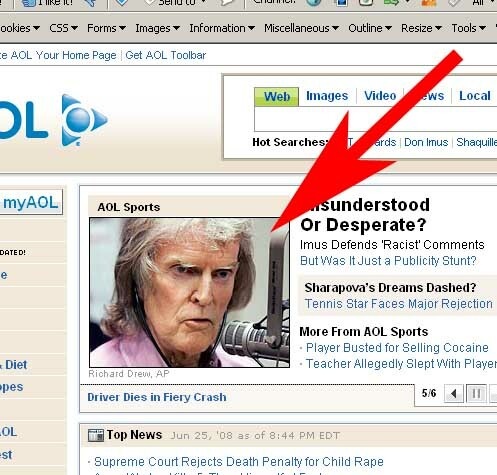 While researching something for work I accidentally ended up on AOL's homepage. 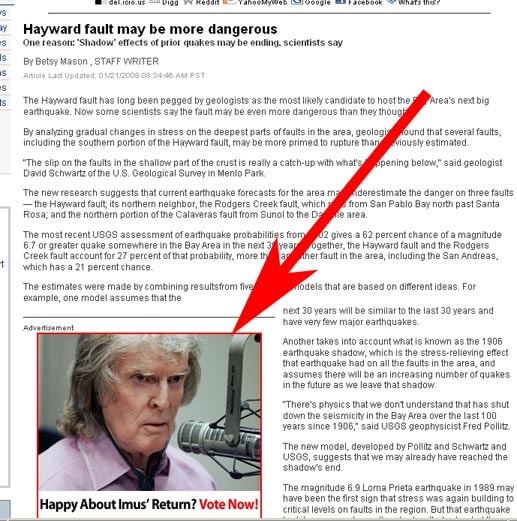 You'll be as shocked as I was to see a photo of the decaying Don Imus right there, smack-dab in the middle. Editor: "which stories will make the main promo section?" 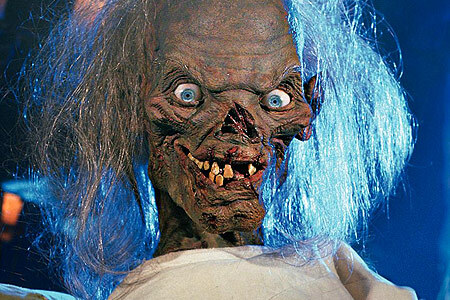 Pimply intern: "that tales-from-the-crypt dude should go there"
Editor: "Good Idea that will help our comscore numbers"